Searching for professional end of tenancy cleaning services in Roehampton? We have exactly what you need. Our company is famous for its reliability and high cleaning results all over the region. Hundreds of tenants turned to us already and moved out on good terms with their landlords. You can trust us because we collaborate only with experienced and knowledgeable cleaning experts, who understand completely the importance of an efficient end of tenancy cleaning and know how to meet the requirements of every demanding landlord. Supplied with the most modern cleaning equipment, they will clean precisely every nook of your leased property. What we have for you is a deep and thorough cleaning of every room of your leased property. Once our dedicated cleaners are with you, they will degrease the whole kitchen, sanitise the bathroom, scrub the tiles, hoover all carpets, wash the hard floors, remove dust from the furniture, mirrors, and other surfaces, wash the windows, polish the door frames, clean the skirting boards and much more. Choose our company and forget about the stress of moving out. You can rest assured that our cleaners will work hard and deliver the level of cleanliness your landlord expects to see. We know that you would like to keep the deposit and we will help you with that. Our services are suitable for every taste. It doesn’t matter if you are a lodger, who needs a professional post-tenancy clean up or a landlord, who is interested in a move in cleaning services, we have all the required human resource and professional equipment to clean deeply every leased property. Grab the phone and dial our number. We offer you a full and guaranteed end of tenancy cleaning, available in the whole Roehampton. You can count on us every day of the week and our help won’t cost you a fortune. One of the preferred areas for living in London is the Roehampton district. It is located in the south-west of London and is the end of the London Borough of Wandsworth. It used to be a village but its popularity grew and it became a residential area for people of wealth and class because of its tranquillity and proximity of London, after the opening of the Putney Bridge in 1729. Roehampton has one of the entrances of Richmond Park which is one of the largest Royal Parks in London. The most notable building in the area are the Roehampton University which is being modernised and has thousands of students. The old Queen Mary’s Hospital which has been turned into private flats, a new Queen Mary’s Hospital, and the most notorious house – Alton Estate – which is known for its unique architecture and has been used as a location spot in many movies. If you are a fan of architecture you will be very happy visiting Roehampton. And what is more, anyone would enjoy visiting is the Grove House. It was built in 1777 by James Wyatt and is currently being used for many private events and weddings as it combines traditional styling inside and great outdoors surroundings. Need help with the final cleaning of your leased property in Roehampton? Turn to our company and find a team of properly trained and disciplined cleaning experts. 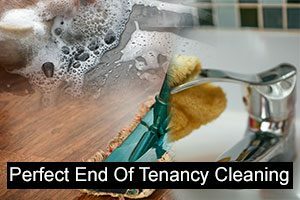 We have been specialising in end of tenancy cleaning for several years already. Our cleaning package covers absolutely everything in the leased property. Rest assured that even hard-to-reach areas will be inspected for grime. The service has no time limitation. Plus, we give a guarantee for a positive outcome. In case of any problems during the inventory inspection, our cleaners will come back for a re-clean. Give us a call and we will schedule your trusted end of tenancy cleaning.